Diaristic Notations: Is it Art? Is it Real? I spent much of today with my body contorted, my mind high on a muscle relaxant and Aleve. Finally went to a good doc. who straighten me out and even ran shocks through my body which seemed like being in a hot tub. I sure appreciate being "straight" again after waking up so crooked. 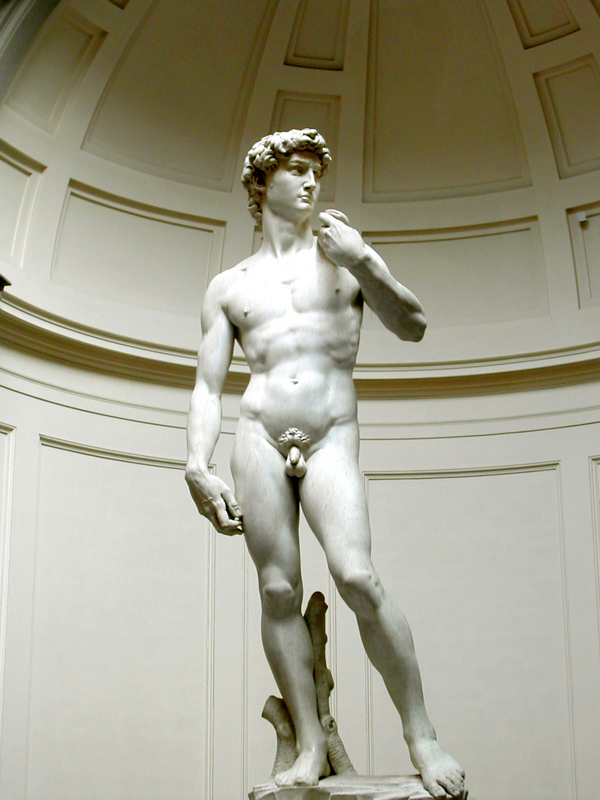 I wondered about Michelangelo's David. It is not easy in Florence to find David. He is tucked away in a labyrinth of narrow streets, and you are risking life and limb walking because of the motor scooters that you are dodging. I imagined that some might find the wrong place where, instead of the real David, they find a perfect copy. People, not knowing that it was not David, would admire it just the same as if it were real. Believing something is real is necessary for the experience. It doesn't need to be real. Yet, in terms of economics, one is priceless and the other is not. Though one could be just as good as the other. 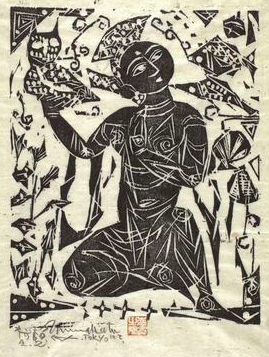 The famed Japanese printmaker, Munakata, said that when he is asked to authenticate his work, he detected the fakes because they are too good. In this case, the buyer might pay more for a lesser work of art. Munakata also said that he didn't like sharp knives because he was afraid he'd cut himself. So we stand in front of one thing and say that it is so wonderful, and in front of another and say that it is a copy of something so wonderful. What is really the difference? Is this another example of how much we make up in our heads? Do I not recall that the copy has a fig leaf for modesty? How does that affect your issue? H.
My imaginary copy doesn't have a fig leaf. I believe that Mike (Michelangelo) had a healthier attitude toward the body than his peers (or successors).